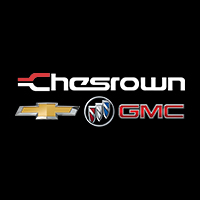 If you want a used vehicle that gives you new car confidence, the Certified Pre-Owned Program at Chesrown Chevrolet Buick GMC is a great option for you. Not only are all our certified pre-owned vehicles inspected top to bottom, they are also covered by warranties and roadside assistance. When you purchase one of our certified pre-owned vehicles, you get all the great benefits and security of owning a new car, but at a used car price. If any of our overview seemed confusing, or you’d like more information about the Certified Pre-Owned program, feel free to download our CPO Brochure below. As always, if you have any questions, please don’t hesitate to contact us. To become a certified pre-owned vehicle, each vehicle must undergo rigorous inspection and meet every one of our strict standards. If a vehicle fails to meet our standards, it is not certified – it’s that simple! Another part of the Certified Pre-Owned Program is ‘Owner Care’, a vehicle benefits package that raises our already great coverage to another level. See the outline of the program below to find out how you can benefit from the Certified Pre-Owned Program.